India just announced its going to launch 3 more satellites. Together the satellites will provide international level bandwidth speed to rural areas of India that currently don't have any or inadequate internet access. This is yet another of India's innovative programs building for itself a growing leadership role in space. India's space agency also announced its next mission is to launch 30 small satellites for third parties. Just days after successfully launching two satellites for the UK, India announced it's going to launch space missions every two weeks. The satellites will be launched from India's PSLV or Polar Satellite Launch Vehicles that rocketed the UK satellites to space on Sunday. The UK pair are commercial satellites that will map melting ice, forests and land use. 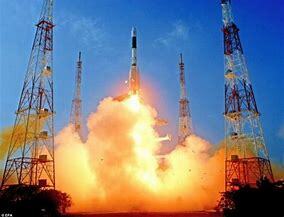 India is aggressively ramping up its space exploration and commercialization program. India's Space Research Organization recently announced a partnership with France on India's manned space exploration plans. The manned mission to the moon is set for January. France will provide expertise in a number of areas including space medicine for the astronauts.